NENCAP Healthy Families program is affiliated with the nationally-recognized Healthy Families America model. Our Healthy Families Advocates bring parent- and child-focused support to families. The Healthy Families Program provides two services. The first is a one-hour parent visit. After this conversation, all families will receive individualized information and referrals for appropriate resources and community supports. Beyond information and referral, we may offer our secondary service of on-going, in-home support to some families, as appropriate. Our Healthy Families Advocates will partner with these families for three to five years. During this time, we will assist families to build on strengths and increase family skills. This one-on-one, personalized program is designed to meet your family’s specific parenting needs. Healthy Families Advocates work with you to support you, your child and your family. Advocates spend an hour of time getting to know your family. Advocates invite you to share your experiences and expectations around parenting and child development. Advocates connect your family to resources and community supports. During pregnancy, the Healthy Families Advocate seeks to schedule visits with you once every two weeks. 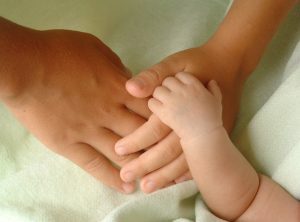 After your child is born, the Healthy Families worker will visit with you weekly for the first several months. When your baby is approximately six months old, the Healthy Families in-home visits may become less frequent. Home visits are typically an hour long. We offer Ages & Stages child development screenings. Healthy Families is voluntary however, requires your active participation. Healthy Families Advocates use the Growing Great Kids curriculum. We encourage participation in Healthy Families for three to five years. Certified Parenting Classes are available upon request. Services will be offered for at least three years and no more than five years. The Positive Discipline & Parenting Wisely one-on-one parenting classes are available upon request. Participants will spend 8-10 hours minimum with a home visitor and are issued a certificate upon completion. Nebraska Department of Health and Human Services, Division of Public Health.